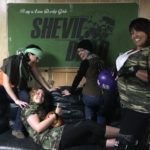 With the 2017 Bay Area Derby Season set to kick off on March 18, it’s time to dig up a season preview of your greenest and dearest BAD home team: the San Francisco ShEvil Dead! 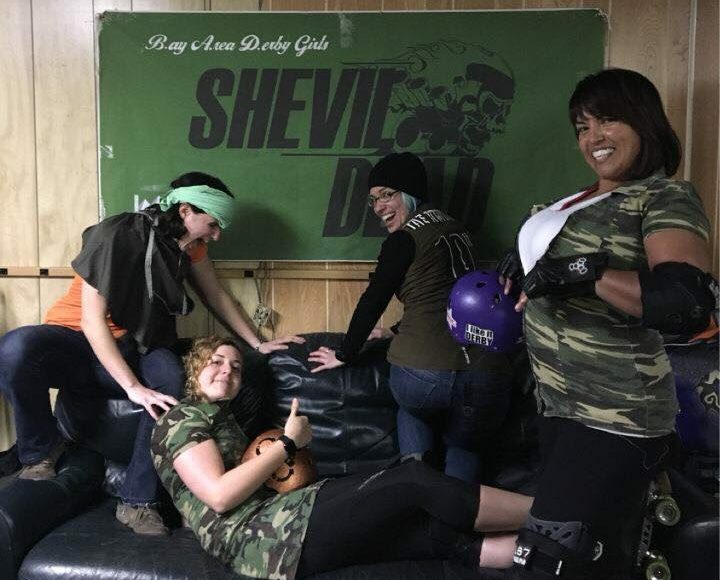 An early season contender for league dominance, the ShEvil Dead had previously relished their role as late season spoilers, being adept at tossing a femur into the spokes of a surging opponent or taking the gas out of a contender with their patented second half hi-jinx. 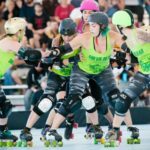 In the offseason, ShEvil suffered some personnel changes losing longtime zombies Korn Holy-O, Cassius May, and Gori Spelling to retirement and powerhouse jammer Pressure Cooker opting to skate as Travel Team only this year. Undaunted by these changes, San Francisco will lean on their crafty veterans, seasoned second and third year players, and will welcome a few transfers who promise to keep their roster dynamic and hungry. 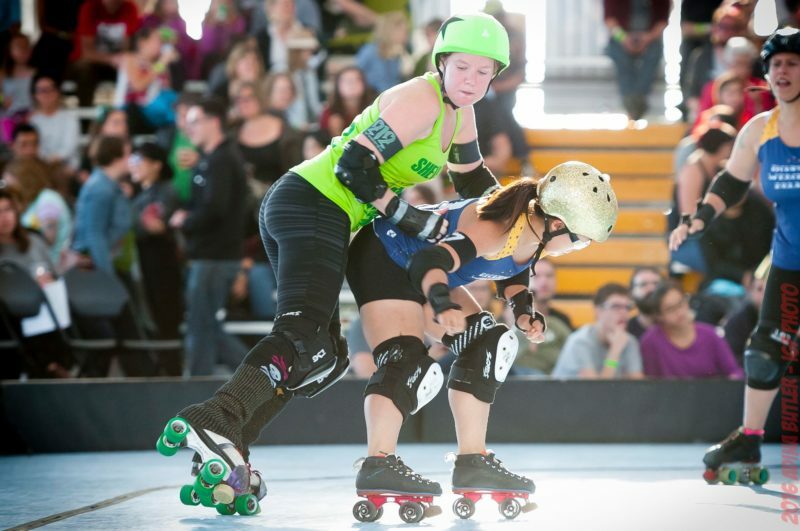 On the offensive side of the squad, jammer standout Danymite is back to continue her methodical and speedy affront on unlucky opponents. The team Co-Captain, Mean Burrito, will step into the leadoff spot, while cunning “moving violation” Xpress Lane Jane is back behind the wheel to deliver a minivan full of points. Defensively, San Francisco is blessed with the return of their Twin Towers: Permab&—whose blocking prowess is less than subtle—and Domme Juan—fully recovered from an unfortunate injury sustained last. The power trio of legendary Sweet Sherry Pie (Co-Captain), the twerky Thea Sassin (formerly Thea Pocalypse), and the refreshingly unpredictable Spiller anchor a staunch defense which includes second year zombies Chili Con Carnage, Dixie Did It, and Melectric Charge. 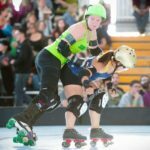 Perhaps most notable in the ShEvil offseason roster changes are the additions of a couple transfers: Sunshine Skate (from Gotham Girls Roller Derby) and #6 Stinger (from Loco City Derby Girls). 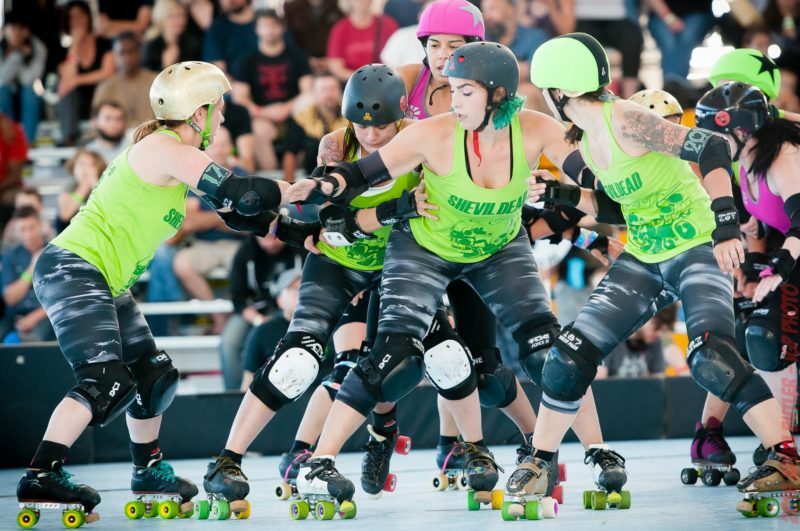 Additionally, returning BAD travel team skaters and in-league transfers Dual Hitizen (formerly of the Oakland Outlaws) and Frightmare (formerly of the Berkeley Resistance) join the Dead’s zombie ranks. With an offseason regiment including intensive interval weight training, raw egg creatine shakes, and pack-focused exercises like pushing a car (wtf? ), the San Francisco ShEvil Dead are chomping at the bit—literally—to get out on the track and execute their 2017 strategy. 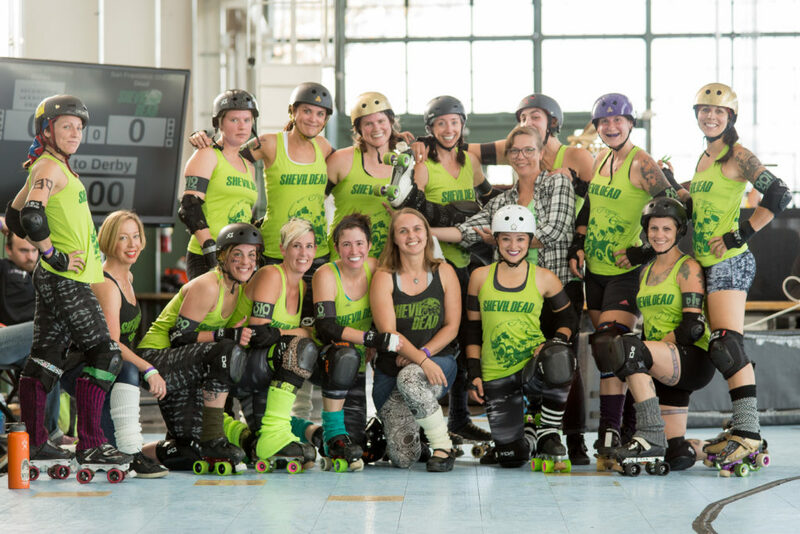 They kick off the season in a crossbay smash up with their longtime rivals, the Oakland Outlaws, at the BAD Season Opener March 18 at the Station in Oakland.